What do you mean I'm aging like a baboon?! Adult female baboons sit with an infant being groomed in Amboseli, Kenya. 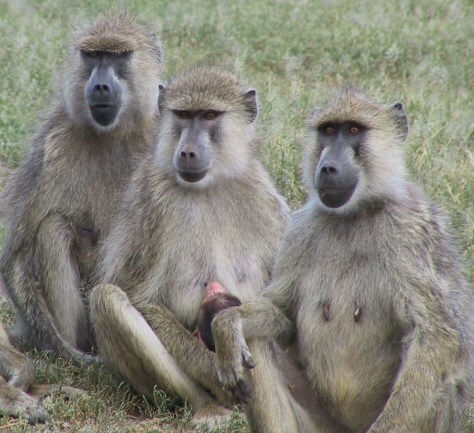 Researchers have found that baboons and other primates age much as humans do, with a relatively high risk of dying in infancy, a low risk during the juvenile years and then an increased risk as aging progresses.